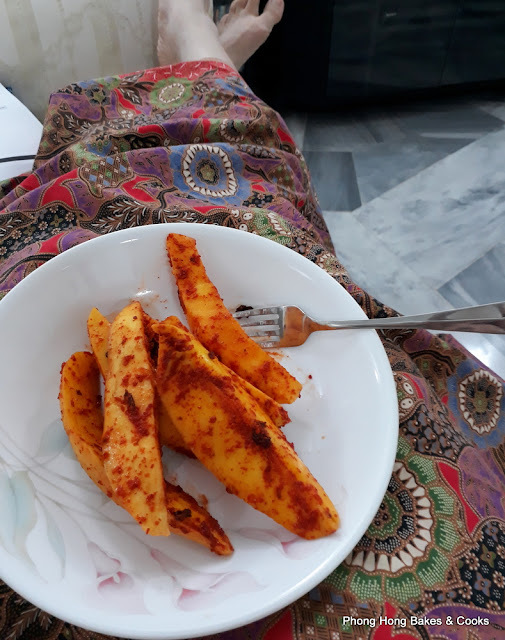 There is nothing more relaxing than lounging around in the house in your tee shirt and sarong (with or without a beauty face mask or bedak sejuk). And what better than to plonk yourself on the sofa in front of the TV with something on your lap to eat. There you go, santai-santai, PH style. Agar-agar, so refreshing, so easy to eat. Whoohoo! 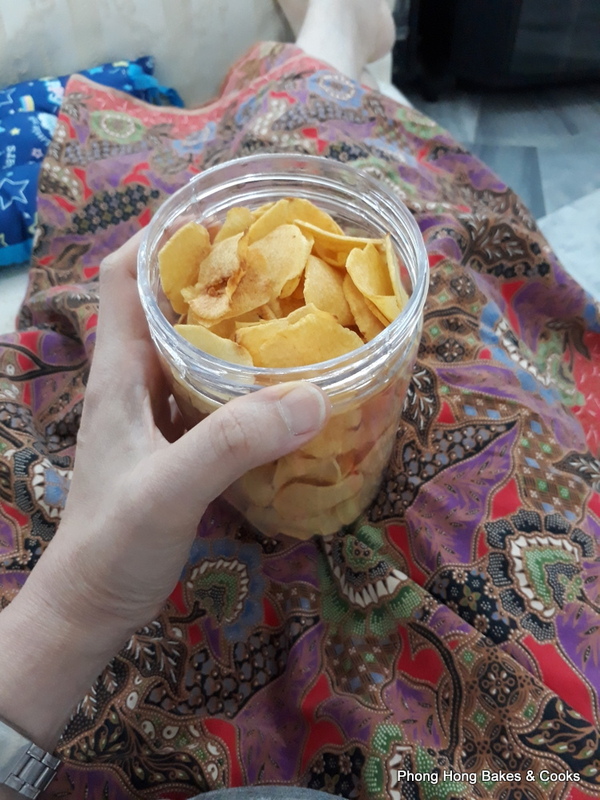 Ngaku chips, even better! Yup, agar-agar again. With the air cond on full blast. It was a hot evening. 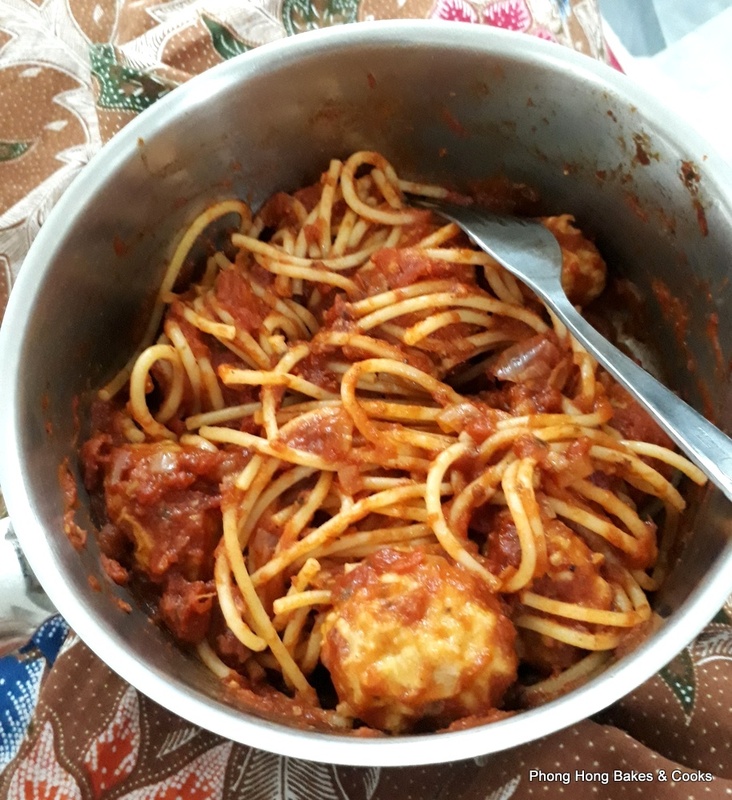 Spaghetti and meatballs pun boleh! Tengok tu. Tak senonoh, dengan periuk-periuk sekali dibawaknya. Ngaku chips again. This time with portion control, not the whole bottle. 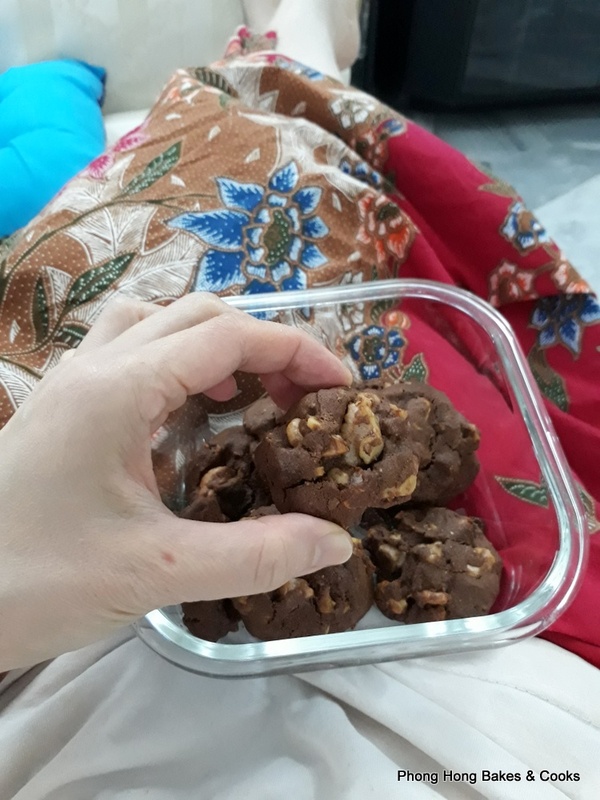 My freshly baked Chinese New Year cookies. Lepak, beb! Wowwwww!!!! You sure have a lot of lovely sarongs!!! You nyonya kah? Oh, that's what you focused on? LOL! Yes, I am nonya. When I read your post title, "Lap Food", I thought you are referring to "Lap Mei Fan" (Waxed Meat Rice). Wah, I see your photos, I also feel very super relax. That red agar agar looks most captivating to me, I wanna eat that! What flavour is it? 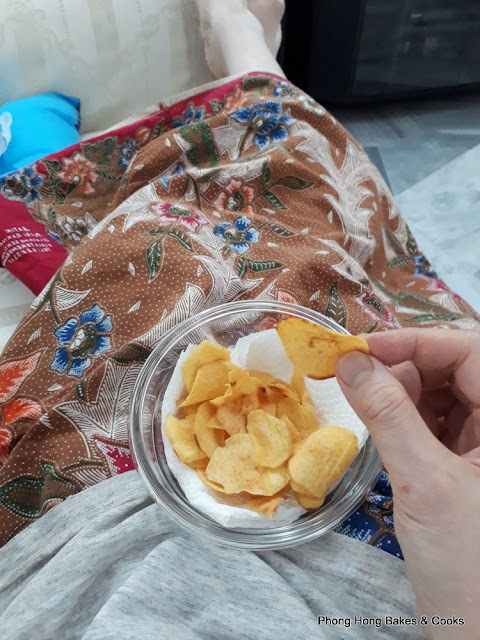 Yes, I do this too, yesterday I think I binge on more than 15 pieces of hup seng cream crackers while watching netflix on the TV. 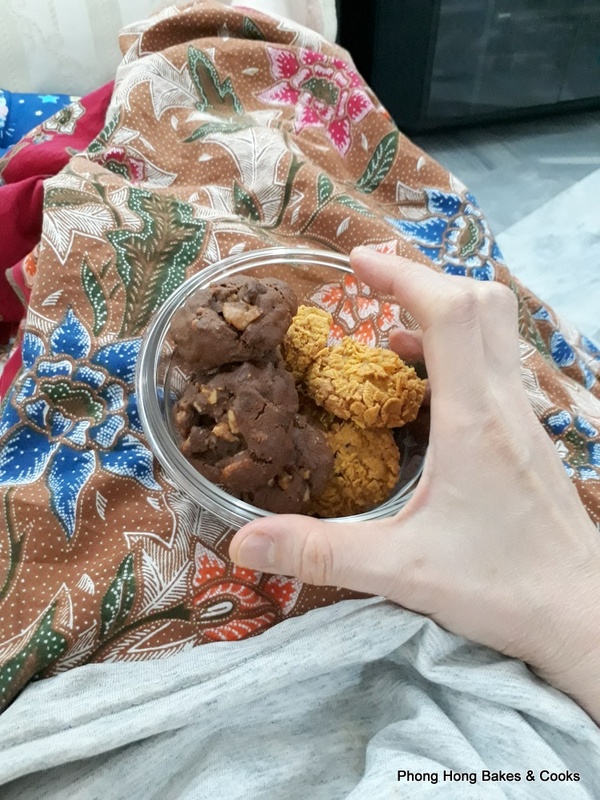 Just could not stop myself, keep taking the biscuits and shoving them into my mouth. Wah, 15 pieces of cream crackers is a lot and I think I can eat as much. LOL! That agar2 is dragofruit flavor. I am still bingeing on cookies. Must stop next week! You sure know how to relax with your lap food! Lol! I used to do this but now I have to control my snacking! 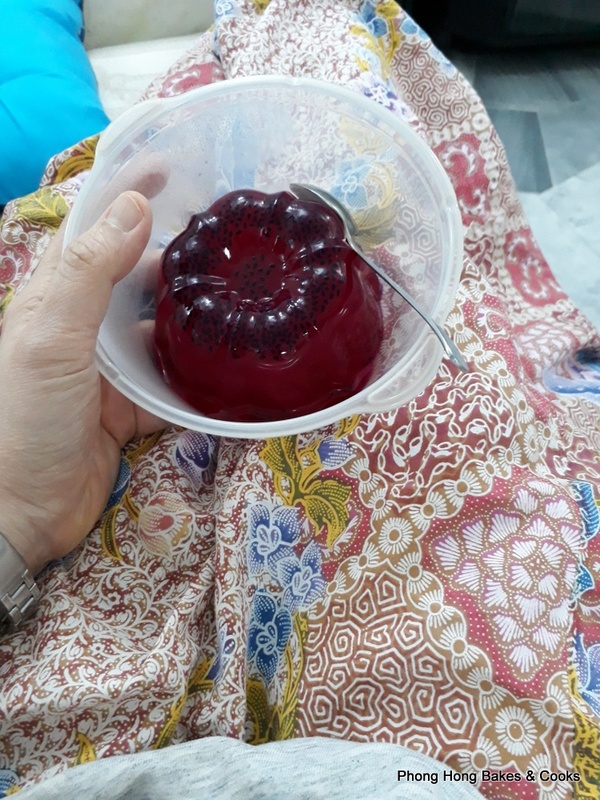 I am drooling over your agar-agar and jelly! I thought Lap Food is a new makan place lol! hee..hee... I love wearing sarongs at home. So cooling. LOL! 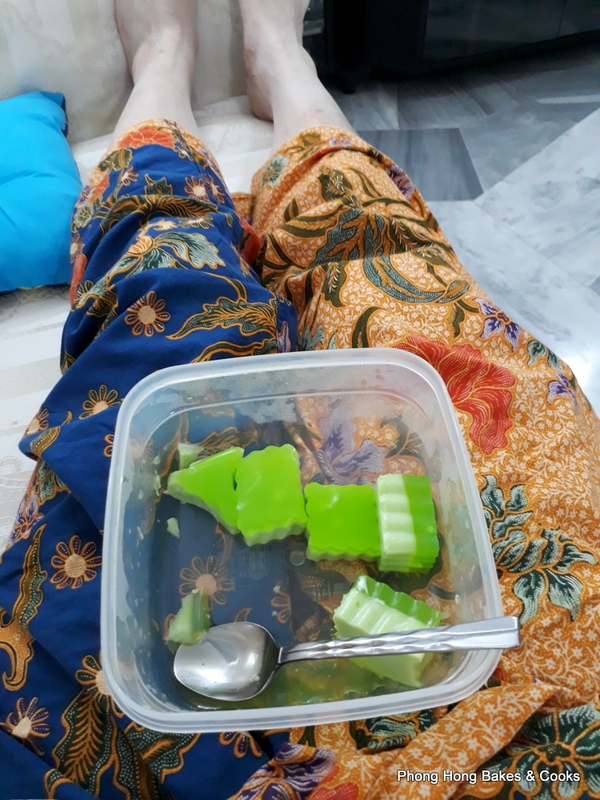 Sitting like that and snacking away memang syiok! I also thought you talking about the lap mei fan from your post title. I did this too last night by eating and snacking on the seaweed i bought from my friend's temple. I am eyeing on your meatballs spaghetti, must be nice. hah..hah... I have been snacking a lot during CNY week. Must stop soon! Hmmm, you must need to know the time when you're dreaming...lol! :D Wearing a watch at home, I believe will be quite inconvenient when you need to do cooking and washing. 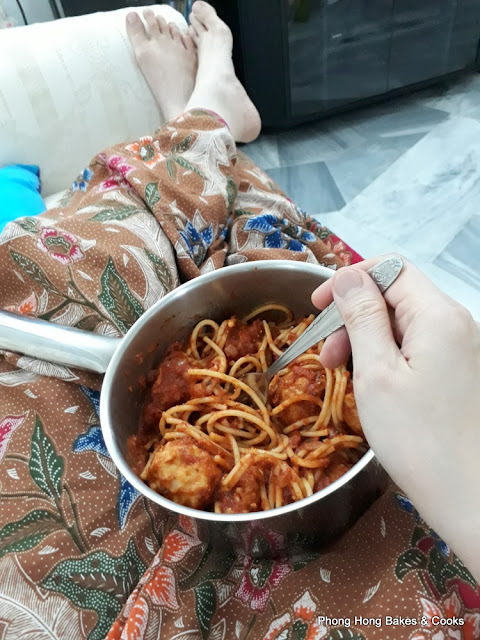 I used to wear a gold bracelet but soon realise that the heat from cooking makes the bracelet hot and it scorched my skin I believe the same thing happens with a metal watch too. LOL! That's what I told my partner - even in my dream I must know the time! Oh, gold bracelet/rings I don't wear in the kitchen, in case grease gets stuck on it. I did not know that the bracelet can get hot and scorch you! But so far, no such problems with my watch. Indeed! Somehow the food taste better like that hah..hah.. Very relax! My favorite time of the week. hahaha... supper santai ni PH ! 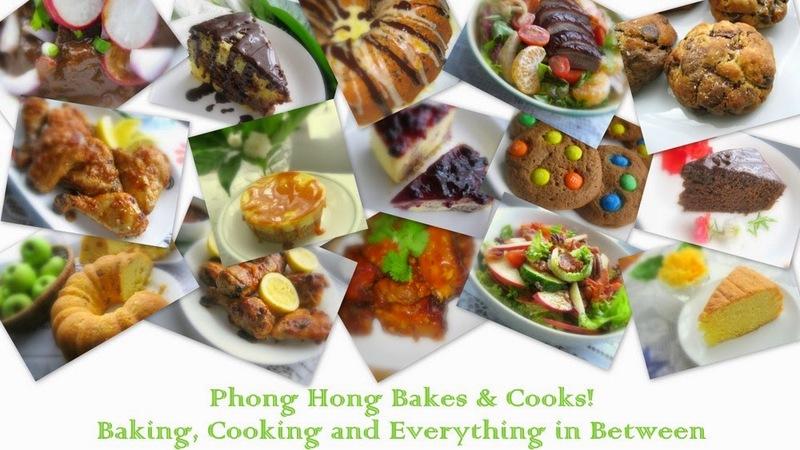 Phong Hong, I just simply love CNY cookies. I finished two bottles even before CNY, and I bought a few bottles again yesterday (yesterday is day 6th of CNY) in the market. I let myself indulge in CNY junks, but I went to gym almost every day in CNY too. Just to make input = output, so that I won't feel so bad. Yannie, once a year, just let go! hah..hah... I love cookies too and have been eating every night. Since you still go to gym during CNY, no problem lah. Amboi!! This Nyonya wears rolex and sarong at home while eating non stop. What a bliss!